Welcome to our 36th Questions & Answers – a weekly blog post where I personally answer questions sent in by my blog readers! Do you need a registered company to import from China? Why does my eBay account have selling limits? Why do my competitors’ listings get ranked higher on eBay’s search? At what stage are VAT & import duty payable on imported goods? What to do with under-valued imports from China? Is it worth starting a new online clothing shop? How to compete with people who copy what I do? I read your recent article and found it very informative and I was hoping you could help me with a quick question – I’ve been in touch with a supplier and they’ve asked for my company name. Do I need to have a registered company to import from China? No, you don’t have to have a registered company to import products from China, not at all. The reason why they asked for your company name could just be that they want to know you’re seriously interested in doing business as Chinese suppliers have to deal with many time wasters on a daily basis who ask for prices, samples, and other info but never make an actual order. So occasionally a supplier will ask some questions about you and your business so that they better understand your intent. Also, some Chinese companies will have exclusive distributors in the UK, USA and other countries – in which case they won’t sell to you directly but will ask you to go to the distributor instead. It doesn’t happen often though – in most cases Chinese suppliers don’t really care who buys their products and as long as you can meet their MOQs, they’re fine doing business with you. It’s definitely much easier than when dealing with UK/USA wholesalers who often don’t want to work with small time traders at all. I opened a seller account on eBay 4-5 months ago and was initially given a limit of 10 listings. After a lot of hard work I now have a limit of 500. However my business partner opened an eBay account a month ago and got a limit of 500 listings right away! Why is it that he got 500 listings as soon as he opened an account but I had to wait months for it? My second question is about search results, as when searching for the items we sell, his listing is the first result on the first page!? I really don’t understand how this is happening… he only opened his account a few weeks ago and it has 0 feedback yet he comes up on the first page. To me this is really mind boggling and I have no idea how or why it’s happening – any chance you could shed some light on this? It’s probably some kind of algorithm that evaluates the risk of a new account? Maybe they take into account PayPal account data (how old it is, what’s the history etc.) or they’re simply testing various limit levels to see what works and what doesn’t. So I’m afraid I can’t say for sure why they do this. And then there could be the LUCK factor or simply a pure glitch in eBay’s search algorithm. So there’s no easy way to tell why some listings from a new account rank higher in search than yours. On the whole eBay’s search is a mystery and only they know how it works. But I wouldn’t read too much into individual results as sometimes it’s simply a glitch or something behaving strangely and you get unexpected listings at the top of search results. Thanks a lot for the information about importing and selling on eBay. But I am a little bit confused, do I need to have a registered business to import goods in bulk from China or any other country?? Do I pay VAT and tax before ordering the goods or when I receive the goods? No, you don’t have to be a registered business to import goods from China or any other country for that matter. Unless you deal with specific kinds of products that require special licensing or permits. Most everyday products won’t fall into this category though. You pay VAT and import duty only when your goods arrive in the UK, not before. If you ship goods via a courier company for example, they will take care of the customs clearance procedure and simply send you an invoice for the taxes you need to pay. But that only happens when the goods physically arrive in the UK. Hope you are well. I think this may be a good question for the blog. I have ordered $1200 worth of goods from China, including delivery. I was very clear with the supplier to put the correct value on the documents but have just received a bill for £17 from DHL, not the approximately £200 I was expecting. For a rough calculation I divide the $s by 1.5 (today’s rate is 1.55 but this way I usually end up slightly better off) and then times by 1.25 to give me 20% VAT and around 5% for import duty. Sometimes the items I buy are slightly more or less so it balances out. As long as I make my margin overall this is a quick way to calculate. My question is how do I make this good with the tax man? Should I contact DHL and ask them to adjust or should I be paying it directly to HMRC either now or at the end of the year? Yes, indeed – this is one of the most common practices by Chinese suppliers – to undervalue shipments. As far as I know what value they put on the export documentation does actually affect them somehow (in regards to tax I presume?) and that’s probably the reason why they keep doing this. I always remind them to put the correct value on custom’s forms (just like you did) but even then, from time to time they still under-value shipments. As I understand, you haven’t received the package yet, right? If so, simply contact DHL and say that there’s a mistake in the customs declaration and that you want to correct it. Then you usually just email the correct invoice to them, along with proof of payment, so they can re-calculate the taxes and make it right. If you have already received the goods, you will want to contact HMRC directly. They have a special form you need to fill out in situations like this in order to get it sorted. Hope this helps Seb! I am currently looking into setting up an online clothing store. I am 20 years old and studied fashion at college and having a clothing shop is something I have always dreamt of, and I have come to the reality that if I really want it to happen, I need to start now. I plan to start with a website and after 3-5 years, once I have a name for myself, I aim to open a store. For the past few weeks I have been heavily looking into dropshipping. It sounded as though it could work for me as I am unable to quit my job straight away, but have family support to help me along. 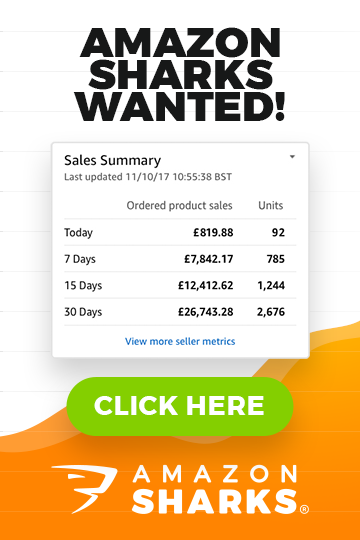 I also understand that using dropshipping would not be very profitable, however as my aim is to get my site known, this is not a big problem for me at this stage. However I have just read your article on dropshipping (…along with many others) and I feel as though it may not be worth the risk. My only problem now is I am in need of advice and am seeking as much as I can. I wonder if you can help me? 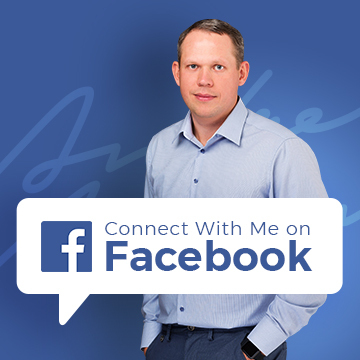 I am now looking to use standard wholesalers to set up my business. I have a few questions, which I hope you are able to assist me with, or refer me to the correct place to get the answers I need. 1) How much time and money does it realistically take to set up an online business? 2) Whilst starting off, I will probably not have anywhere to stock the products, except my bedroom and the spare bedroom in our house. Is this realistic? 3) Is wholesaling the best method to go with? I look forward to hearing from you and thank you for your eye-opening article regarding dropshipping. With that in mind, I would personally recommend you look for a different niche/business concept as clothing is a SUPER COMPETITIVE market! You’ll find it very, very hard to compete with established brands – companies who have massive buying power, a massive product range, and huge marketing and customer service scale. Returns. This is a massive headache in the clothing industry and can seriously damage your margins and profitability. Seasonal/trendy stock. You have to buy new stock all the time to keep up with new trends. Dead stock. It will be very hard to manage old styles so that you sell them completely, which means you’ll constantly be left with dead stock that you can’t shift for any profit. Sizes/colours. You always have to take a punt on which colours, styles, and sizes will sell best. Again, this can create lots of dead stock. Considering all of this, I really don’t think building an online shop, for a new seller like you, is the best way to go. Too much drama for such little return. I’ve been selling a small number of hand made products, based on popular pop culture themes, which I’ve since managed to build up number 1 best match listings for. Just recently people have begun to copy and steal my designs. It took me a long time to get where I am for these phrases, and to be cheaply copied (and in some instances literally stolen! My design lifted from the image and placed on theirs) is quite demoralising. These people ultimately end up selling cheaper and reaping the rewards of my hard work. I know I can’t avoid this, it’s the nature of the business, my interest is in what I can get away with inside my listing in terms of advising people not to buy imitations etc. I saw you mentioned this was okay and actually endorsed doing so, but this was a while back. My number 1 listings have massive sales history, and I don’t want to run the risk of losing it all by eBay removing the listing. Can you offer any advice for how I can continue to compete in these situations? Well, there’s not much you can do in situations like these apart from being the BEST!!! So that means having the best looking listings, the best/highest quality products, the best images, the best descriptions, the best customer service etc. etc. So that your offer screams QUALITY & makes it clear to all prospective buyers that you are the BEST option! As you said, there will always be people who copy, that’s life. The key is to continue with what you’re doing and don’t become distracted by them! These types of sellers simply don’t have what it takes to compete with you and be the best as they’re stuck in the copy mindset! So just try doing the best you can and work for your customers, not to fight your competitors. And that brings us to the end of today’s Q&A! We had a very interesting array of questions today, on a variety of topics. For me personally August has been an incredibly busy month as some of my other businesses are growing faster than I expected (I’m not complaining mind you!). I expect to get even busier as the year continues which means it’s even more important to take some needed time out – with family and friends etc. – otherwise all the hard work just becomes too overwhelming. So with that in mind, have a great, enjoyable weekend and I’ll see you next week! Maybe i missed your blog post related to my question maybe not but i have question also. I’ve had a customer tell me a wallet they bought 6 weeks has a broken zip. Now I am usually quick to post a replacement or refund but also they have hinted that they are disappointed and haven’t left feedback. Which sounds like a little threat of leaving negative feedback. Since this product was a one off I can’t replace so I’ll refund. But how would you deal with this person? I’m tempted to send a message saying I don’t care for the threat or can you report them to eBay? If it was a cheap product, I would simply refund it and forget about it. No need to really make this more complicated than it is. eBay does act on feedback treats though BUT they must be very strong/offensive to qualify. I don’t think your case falls into that category. Hi there. Just a quick question, i run a small garden business and i also sell on ebay, how can some ebay sellers sell items for less than the normal rrp’s AND still offer free postage/delivery. Some of our heavier items are listed as collection only as some are so heavy that they cost over £10 to send by the post/currier, but some sellers are selling the same heavy objects as us but with free delivery. !! I dont mind some compertion (dont get me wrong). Id just love to know how they can do this and still be making a proffit,. No one says they make profit… very often businesses use eBay just to get rid of old stock, over-stock..
Or they could be building up their feedback score, sales for TRS and simply selling at loss. Also, many sellers buy liquidation stock, returns which can be sourced for cheaper prices. There are many reasons why is this happening really. I just happened to come across your site while trawling for information on shipping terms and found it very interesting. Plan to be in touch with you more often. I am based in Dubai and negotiating with some suppliers in Dubai for shipments to Senegal . One of them told me that he will ship the consignment directly from Tunisia to Senegal as the factory is located in Tunisia. It will not only be cheaper for me but I can avoid all the shipping hassles. He will be giving me the CNF prices and will arrange for the goods to be shipped directly to Tunisia. Now, If I agree to him and since he is arranging for the shipment , will he not be able to know my customer in Senegal which may affect my business interest at a later stage. He will be able to do business with my customer later on. Even if I switch BL, will he not be able to know through the shipping company about my final customer ! How do I avoid this ! He will most likely find it out, yes. So if you want to keep your customer info 100% to yourself, you’ll have to ship to you first. Thanks again for a detailed Q&A. Great Stuff! Just one question, what are the negatives of telling your suppliers to undervalue your items everytime, as i have been selling on ebay for a year now, and if my supplier putvthe correct value for my shipments my ROI would be around 10%. Whereas now im getting 25% back for each of my product line. I have spent endless hours looking for a cheaper supplier but have not had any luck being able to source them cheaper. So what exactly are thr negative things that can arise from undervalueing stock? I’m sure I don’t have to explain what it means. Basically, if HMRC does an audit on you and finds that you haven’t properly booked/taxed your imports, you will be in serious trouble. I was only just thinking today, I need to start planning for Christmas, and that I feel a few related questions needed asking, and there you go and mention it in this weeks Q&A! My first question you answered : When do you start planning for Christmas? (Now it seems! Or earlier..) I am currently doing the same, but I can feel September/October becoming a very busy period. Second: I know this is a very open “length of string” question, but how much do you think your sales increase during this period? Yes, it depends on type of product I guess. It’s my first year, so I don’t have previous years to look back on, so I’m fumbling in the dark really. I have two accounts, one selling gift packing and boxes which will obviously have a big increase, and the 2nd selling men’s shaving products, and the gift set side of this should find an increase too. Ultimately, I’m not in a position where I’ll have Christmas excess stock hanging around as it sells all year round anyway, so my current strategy is pretty much to order as much as I can afford,taking into account cashflow, in readiness. It’s a bit of a dumb strategy but I don’t have much else to go on. Finally, when do you see orders pick up in retail? October/November/December? I originally thought I had loads of time, but now realise December probably isn’t the best point to be aiming for, as many people will have purchased something before especially taking into account delivery time scales.